I've got three incredible artists that I want to introduce you to this Holiday Season!! 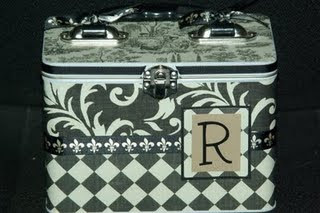 My very creative friend Sheila is so very talented. With Christmas around the corner, she has something gorgeous for everyone on your list. 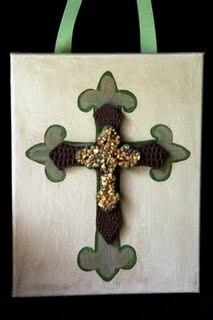 Visit Sheila's blog at designs4faith to see her beautiful cards, crosses, decorative boxes and canvases. She does such gorgeous, detailed work!! 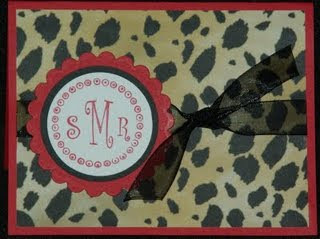 Since we were just talking about "hostess gifts" the below note cards would be perfect for someone hosting a party this season. 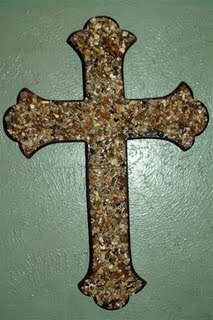 Go here to see my post about "hostess gifts"
This cross is stunning and layered with pebbles. It's nice and large too! Great quality and a great price. 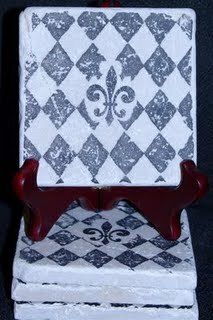 She has an amazing selection of coasters too! Very unique! I have some of these and all my guests comment about them whenever they are used. 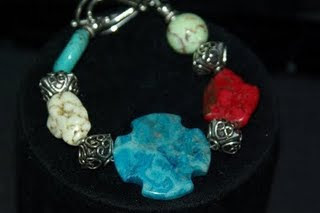 Visit her blog and place your order. 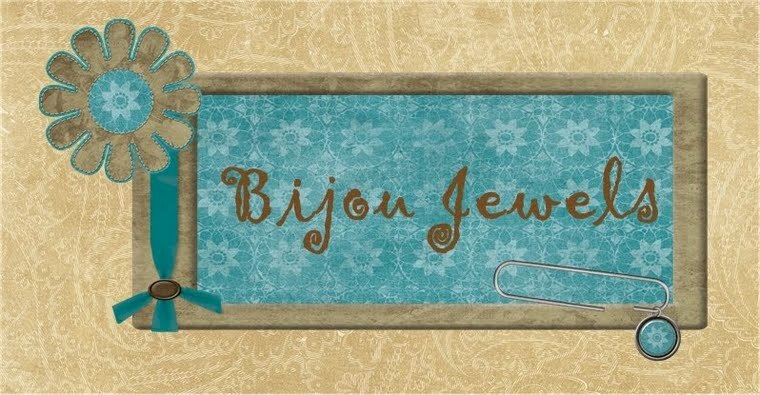 She can create your custom order today. 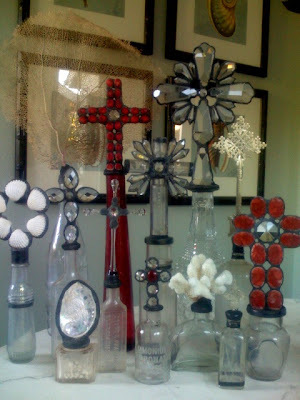 She is a crafter of Crystal Crossbottles, Shell Bottles and other crystal designs soldered to vintage bottles and decanters. 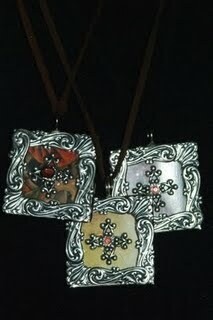 She has worked in stained glass for over 30 years. You may have seen her “Message on a Bottle” Shell and Stone Bottles in Wisteria's Catalog. Wisteria featured her in their September 4, 2009 Blog: here. These bottles are growing in popularity and have been seen in House Beautiful, Country Living Magazine, California Home and other publications, as well as gift shows and the various Marts around the country. Her prices start at $20. 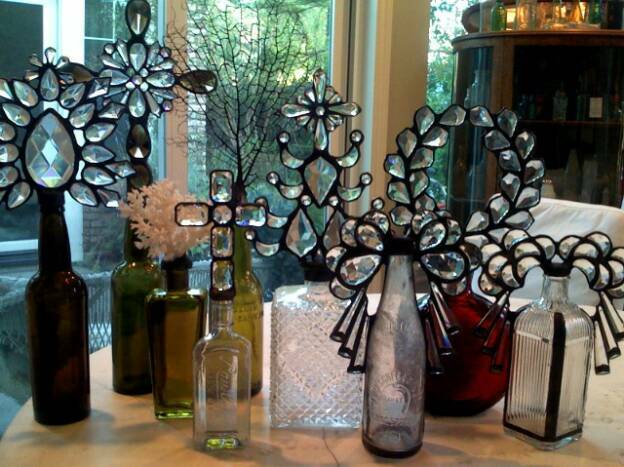 She uses lead free silver solder on all her bottles. 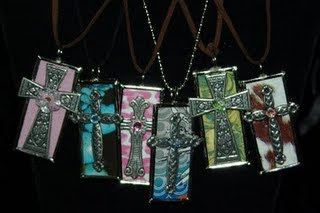 Visit her website http://www.crossbottles.com/ to see more pictures of her work. 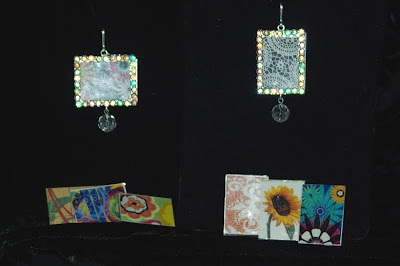 Valerie makes incredible jewelry. 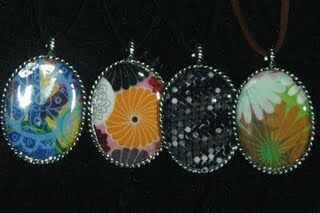 Her latest is this beautiful necklace with interchangeable inserts. Below are a few of my favorite items. I own a blown glass piece and EVERY time I wear it, I get compliments.